Could a Maintenance Diver Drown in a Retention Pond? Home » Could a Maintenance Diver Drown in a Retention Pond? There are few more horrific ways to lose a family member than in a drowning accident. This is especially true if your loved one worked on the water for a living and his or her death was caused by someone else’s negligence. In cases such as that, those at fault need to be brought to justice and the family deserves money for the financial burden of their loss, including money for funeral expenses, lost income and pain and suffering. Authorities are still unclear about what caused a recent drowning accident in New Albany, Ohio. According to WBNS-TV, the victim in the drowning was a maintenance diver who had been hired to dredge the ponds in the area. The diver was working with another employee at the time of the incident. After he had been underwater longer than expected and lost contact with his co-worker, the authorities were called in to conduct a search and rescue operation. Although the company the men worked for had an A-plus rating from the Better Business Bureau, this is at least the second diver it has lost to a drowning, after losing another employee in a similar incident in 2009. Investigators were still trying to determine what caused the drowning at the time of this report. My Loved One Died in a Drowning Accident. Who Can I Call? If you have lost a family member in a drowning accident that was caused by someone else’s negligence, whether work-related or not, our maritime trial lawyers may be able to help you. 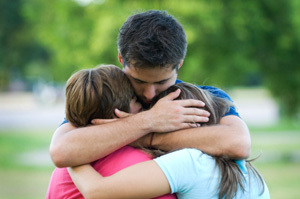 We have decades of experience assisting the families of wrongful death victims, and we will do everything we can to help you through this difficult time. To learn more about maritime accidents and how we can help you, give us a call today to schedule a no-cost, confidential consultation. Previous Why Did the Coast Guard Stop a Google Barge Project? Next How Can I Get the Help I Need After a Tugboat Accident?